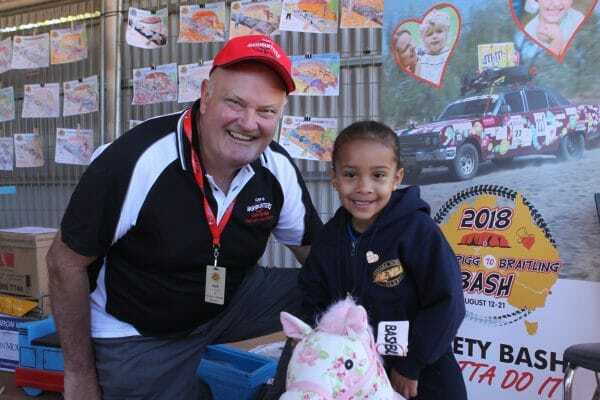 It’s been a busy couple of days on the Variety Brydens Lawyers B to B Bash so we have a double post today. 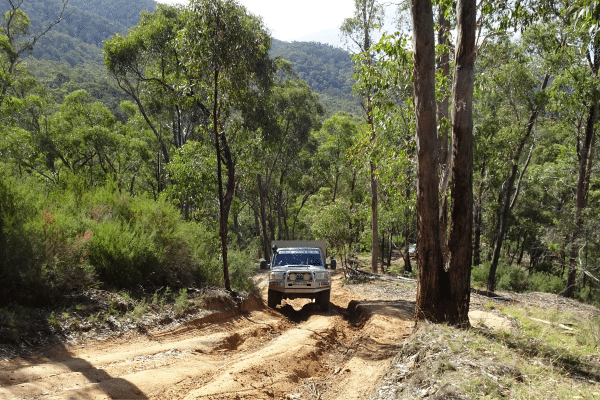 After days of dust, laughs and the odd flat tyre, the Variety Bashers are past the half way mark. 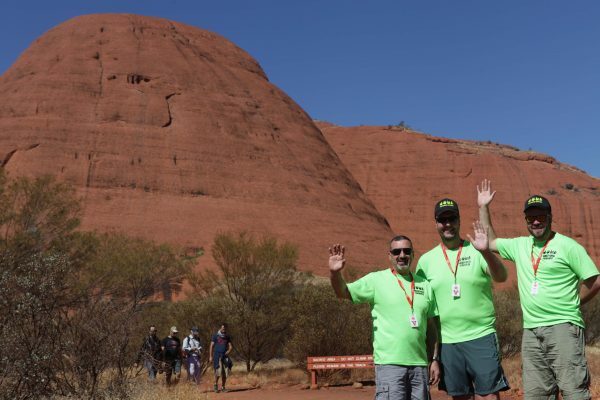 Day seven started with a hearty breakfast in Marla, before hitting the road heading towards the Red Centre of Australia and the world famous Uluru. 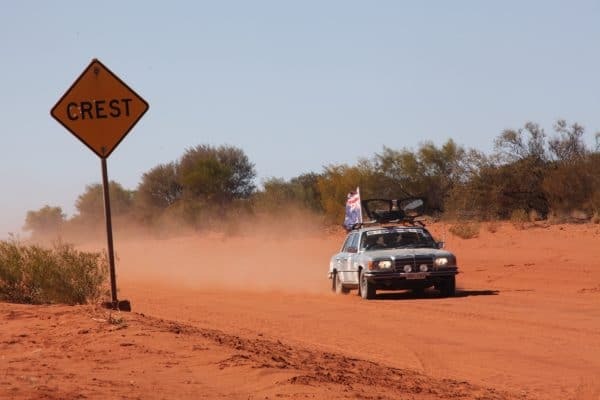 After crossing the border into the Northern Territory, the Bashers stopped by Mulga Park Homestead, a property of 880,000 acres with 7000 head of cattle. Uluru gave the Bashers a glimpse of its majesty in the distance as they headed towards Yulara. 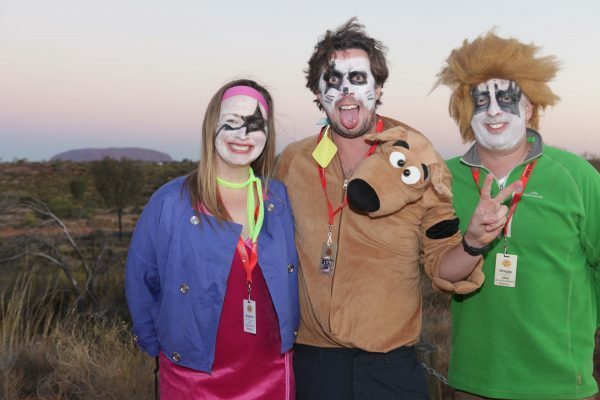 You know you’ve arrived in the NT with the site of the sacred rock to welcome you! 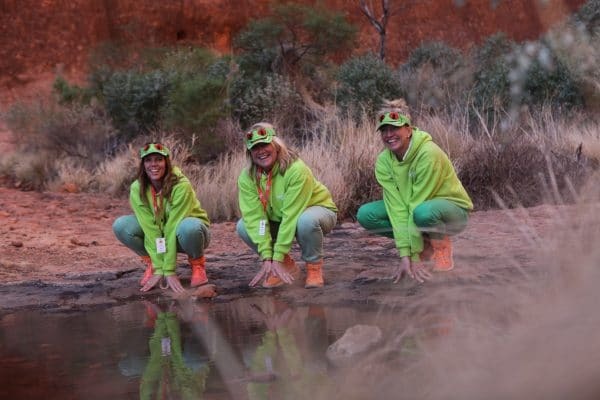 A visit to the area wouldn’t be complete without a sunset viewing over Uluru and Kata Tjuta, a truly awe-inspiring experience. The spectacular red rocks and domes are millions upon millions of years old. 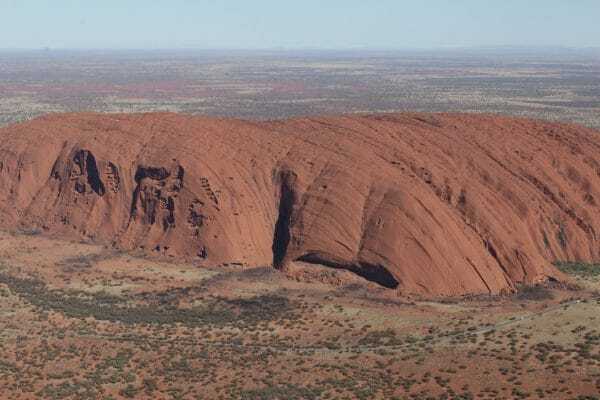 Uluru-Kata Tjuta National Park is internationally recognised as a World Heritage Area, and since 1985, Anangu, the park’s traditional owners, have worked together in partnership with Parks Australia to manage the park. 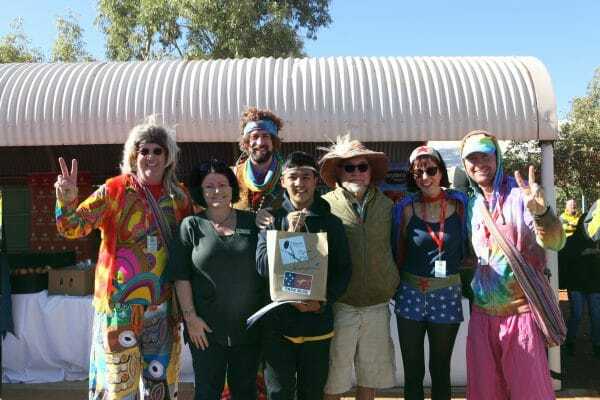 On day eight, the Bashers were welcomed for breakfast by the students, staff and families of Yulara School, which is categorised as an ‘urban remote’ school, located approximately four hundred and fifty-three kilometres to the south-west of Alice Springs. 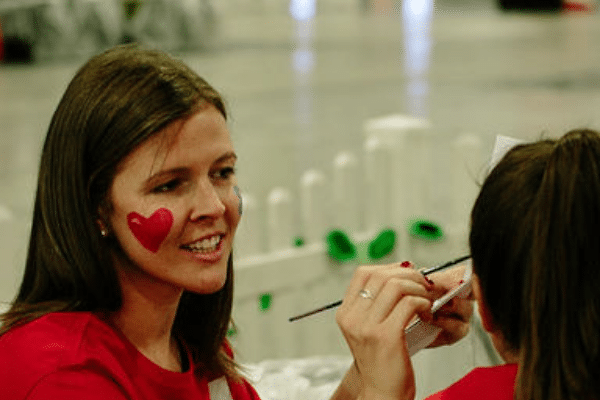 It is referred to as an ‘urban’ school as a result of the teaching of mainstream educational programs in the classroom whilst catering for a diverse student base of children from the Ayers Rock Resort staff. The school has 47 children enrolled in preschool to year 6, with another 10 enrolled in the Distance Education Unit for high school. 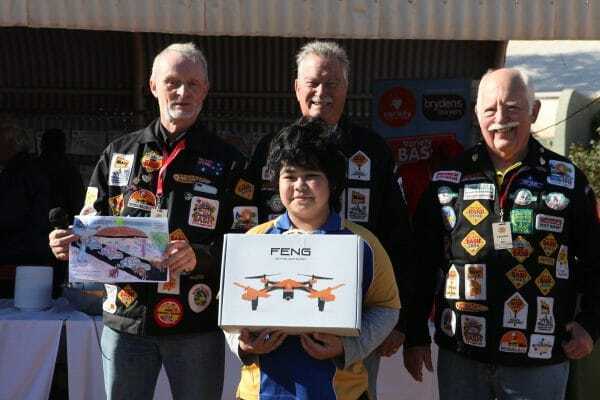 The school were granted Robotics and Coding Resources by Variety and the Basher, which will be crucial in teaching the kids curriculum required skills in coding and robotics. On Sunday night, the Bashers were treated to dinner under the stars at the Sounds of Silence, an unforgettable dining experience which included the resident star talker decoding the southern night sky. 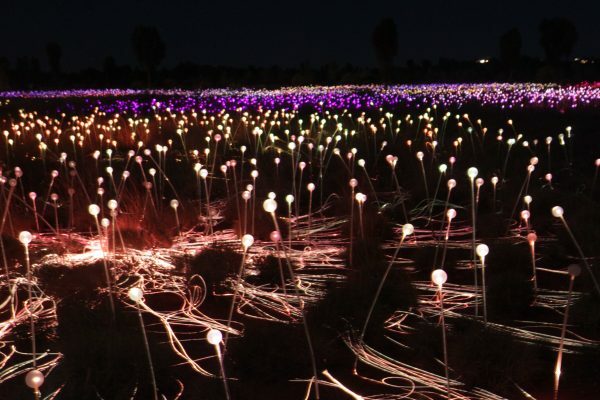 To round out the day, Bashers were transported to the Field of Light, an art installation made up of more than 50,000 slender stems crowned with frosted-glass spheres that bloom to life as darkness falls over Australia’s spiritual heartland. The installation, aptly named Tili Wiru Tjuta Nyakutjaku by the local community means ‘looking at lots of beautiful lights’. 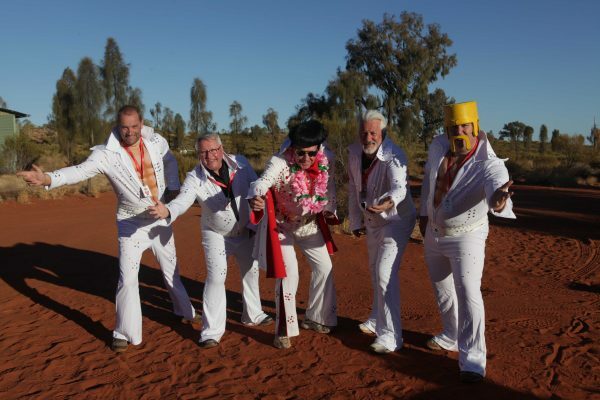 Next stop – Alice Springs!